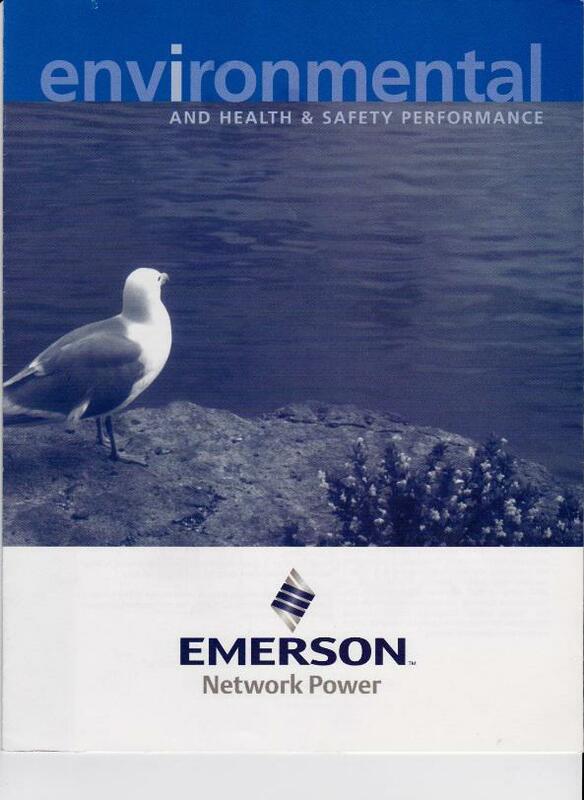 Environmental, Health and Safety Brochure - Emerson Network Power - Tavares Group Consulting Inc.
Is your organization looking to communicate your environmental, health and safety achievements to employees, stakeholders, and clients? Tavares Group Consulting Inc. assisted Emerson Network Power develop a communications brochure detailing the company’s environmental, occupational health and safety programs and performance as well as community initiatives and awards. All communications pieces are printed using FSC recycled paper, processed chlorine free and are printed with vegetable based inks. Contact us for more details.